Take a look at this video montage of several very successful risk and insurance professionals, many of whom are Ferris State University graduates, as they discuss their careers and the opportunities available in the risk and insurance industry. This entry was posted in careers, Insurance, Risk Management and tagged careers, Ferris State University, insurance, risk management on April 17, 2015 by drdavidallenbrown. 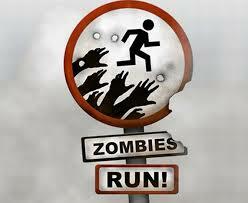 Are you insured against the peril of zombie incursion? No?! Do you really think that auto, home, and life insurance is all you need? Okay, well, yeah, that is perhaps all the insurance you need – but that’s not the case for all of us. Spring has me feeling a bit whimsical and I thought perhaps it would be mildly entertaining to mention that insurance goes well beyond the oft-considered boring coverages related to our automobiles, homes, and responsibilities to our dependents. Professional athletes and entertainers have been known to insure their valuable body parts for substantial sums. Rolling Stone guitarist Keith Richards has reportedly insured one of his fingers for $1.6 million, and Bruce Springsteen’s vocal cords are allegedly insured for up to $6 million. Then there are a multitude of celebrities who have reportedly insured various attractive body parts for large sums. I’ll leave it at that. Suffice to say that insurance isn’t always stuffy and boring. Just ask the underwriters who analyze and consider these unique risks. Any celebrity insurance stories you wish to share? Feel free to comment – but please keep it PG rated! This entry was posted in Insurance and tagged celebrity, insurance on April 9, 2015 by drdavidallenbrown. Traditional risk management generally focuses on property and liability risks facing the organization. Buildings can burn, equipment can be stolen, customers can sue for injuries, employees get hurt, and automobiles can crash. There are a multitude of risk management techniques that can be deployed against these risks. Some techniques are risk reduction, some are risk prevention, and some are risk avoidance. The risk that remains requires some sort of risk financing treatment that often involves the purchase of insurance products. Traditional risk management is the realm of the professional “insurance manager” which was the precursor to the “risk management” position in many firms when the extent of risk management was primarily the purchase of insurance products. Lest you think that only large corporations need to worry about enterprise risk management, consider the situation of tiny little Memories Pizza of Walkerton, Indiana. Amidst the current firestorm of controversy surrounding Indiana’s Religious Freedom Restoration Act, the media has been swarming small businesses, looking for evidence of the Act’s evils. They found what they were looking for when they spoke with a young co-owner of the pizza shop. This blog will not take a position on the Indiana controversy – that’s not my place or purpose. However, the entire controversy and the specific case of Memories Pizza perfectly illustrates the type of risk that faces organizations beyond those that are typically (and relatively easily) covered by insurance. 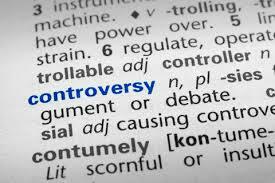 When controversy erupts, organizations may wish to just “keep their heads down” and stay out of it because common sense dictates that taking a stand is sure to alienate some stakeholders even if it elates other stakeholders. But when an employee with little or no public relations training is suddenly put on the spot, the organization may find itself thrust into damage control mode. The risk of controversy is real, and it’s not insurable. Just ask Memories Pizza if they ever thought, in a million years, that they’d be shutdown by a state law that had no direct effect on them… until they commented on it in a nation that espouses the right to free speech. This entry was posted in Insurance, Risk Management and tagged controversy, enterprise risk management, Indiana, public relations, strategic risk on April 3, 2015 by drdavidallenbrown.